Why is larch a good choice for fencing products? Larch is a tough, waterproof, durable wood, which is resistant to rot when in contact with the ground. Larch is therefore an ideal wood for high quality fencing products. I have some timber and I need someone to cut it — do you offer that service? 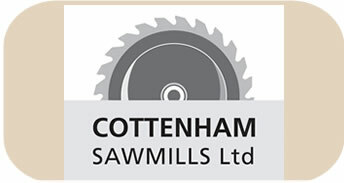 We have a range of saws on site so we are likely to be able to help you — just give us a call or send us an email to let us know what you need. I want to make some raised beds in my garden — do you supply the timber I would need? Yes — let us know what size beds you are aiming to create and we will give you a price for the timber you need. Yes, we can provide a supply only service or a supply and installation service. Do your fence panels fit in concrete posts? Given the thickness of the timber we use, our panels will not fit into concrete posts. What do you charge for a standard 6’ x 6’ larch-lap fence panel? £25.79 including 20% VAT. The thickness of the batons and boards we use for our larch fence panels is far greater than standard products from a traditional builders’ merchant or DIY store and therefore our fence panels are likely to last longer. What are your standard sizes for sleepers? Our standard sleepers are 2.4m in length x 200cm x 100 cm. We have a log-burner — will your wood be suitable? Yes, our wood is suitable for log-burners and open fires. All log burners have different sized openings, so it is always advisable to check! We do sell our firewood in bagged quantities so you could always try a bag before you commit to a full load. Do you deliver locally, and do you charge? Yes, we offer a local delivery service. Our delivery charges reflect the time and distance from the sawmill — please ask for a delivery cost when contacting us for a quote. Do you open at the weekends? Yes, we open on Saturday mornings from 9am — 12pm.